Training employees in the hotel industry have always been significant. From assisting guests with language barriers to being sensitive to cultural differences, training impacts employee performance significantly. But training managers face a problem – How to train employees constantly when schedule changes or interfere with working hours? There exists a need for a training solution which runs round the clock and remains accessible to learners at their convenience. This is where advantages of a Learning Management System in hotel industry become apparent. In this blog post, we will look at how you can benefit from using one such tool to deliver training. A learning platform can house an extensive sets of material, like training contents, company documentation, latest announcements and lot more. Employees can easily access these and catch them all. An LMS gives access to organisation related updates and changes within no time. A training program typically comprises of mandatory and optional areas of training. While mandatory ones are offered to all employees, specialised training programs are offered discreetly to specific employees or groups. With an LMS you can have a standardised delivery of mandatory training areas. Whereas in case of optional training, it facilitates allocation of training programs. It allows you to push training to relevant individuals. Apart from this, LMS offers additional learning resources to proactive learners. Thus, enabling effective implementation of training program amongst all employees. A training material requires periodic changes and upgradations to keep it relevant. A change in offline training involves reproduction and reprinting of hundreds of material. With online training, you can effortlessly tweak the course content as required. Thus, making it easy for you to keep course updated in the ever changing industry requirements. An LMS allows you to remove the need of instructor’s travel, printed material, training site rentals and employees being away from the job. Thus significantly reducing the expenditure of company and time saving for participants. LMS have built-in social functionality such as employee profiles, chat, blogs, discussion forums and newsletters. This encourages interaction, knowledge sharing with others, thus boosting user engagement. Individuals often have different learning styles. An LMS lets you offer training personalized to these needs through self-paced learning. This leads to enhanced retention without any additional investments. 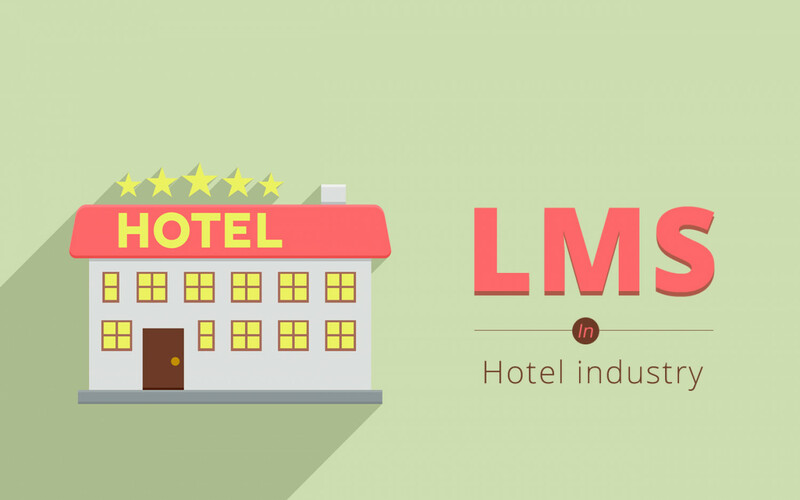 While researching an LMS for your hotel bear in mind that there exists the host of LMS in market and all are designed for different purposes. A custom solution shall help meet your requirements and facilitate accomplishment of your training goals. Review all features and ask as many questions as you can during demonstrations. If you’d like to ask about our system, then drop us a line. We have some powerful tool to showcase.